So, my toddler was a HOT MESS the other day at the grocery store. MELT DOWN CITY! Full blown, screaming in the cart… It was ridiculous! You know it is not your first child when you just continue with your shopping because well, momma needed her coffee :). But, this made me realize that I need to make sure that I am better prepared for situations when Quinn does not want to do something. She is approaching an age where she is forming her own opinions. She is not as “go with the flow” as she was when she was a baby. Plus, we all know that toddlers are not always ‘reasonable’ creatures. This made me think; surely I am not alone in this. Maybe other mama’s would appreciate some advice to get through the grocery store without a screaming toddler. With this thought, I compiled some tips on how I started to combat this battle so I didn’t have a child losing her mind in public! Provide context to your child and prepare them ahead of time of what to expect. By going over the expectation of the grocery store experience BEFORE you arrive, it allows your child time to process the trip. You can discuss items that are on your grocery list, discuss objects that they will see when they are inside the store, you can even talk about employees they will encounter. Including the importance of this chore may also add more relevance as well. 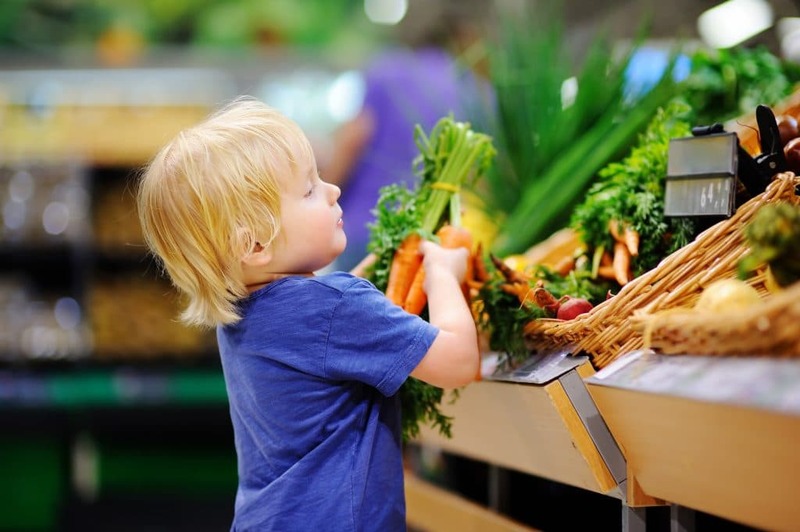 Discussing that we need healthy foods to be able to “play and learn” could help your child understand the value but in order to do that, you need to visit a grocery store! 3. Let the child be a part of the errand! I get it, I am a busy mom so sometimes we just want to get in and out of the store as quickly as possible. However, when we forget to include our tiny humans, they tend to feel left out of the equation. 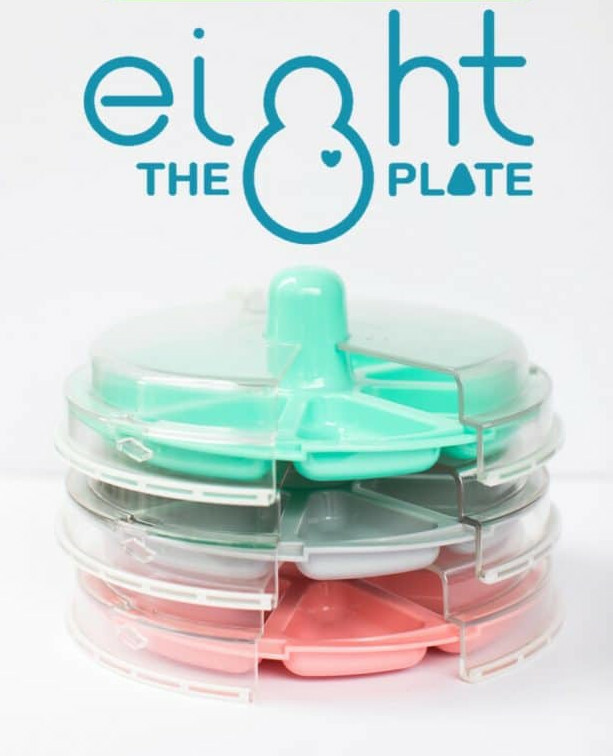 It is important to allow them to be INCLUDED in the the errand and not just be an additional item in the cart. I LOVE to have my little ones help me shop. I also find that they are much happier when they help me choose which cereal to buy or help me put the apples in the produce bag. Not only do they enjoy being “mommy’s helper” but it also keeps their engagement level high so I can get my shopping done. It is also a great learning opportunity too. We work on counting, we look at colors, they help me say, “CHECK!” when we cross another item off the list. They are very much involved in the grocery buying process. 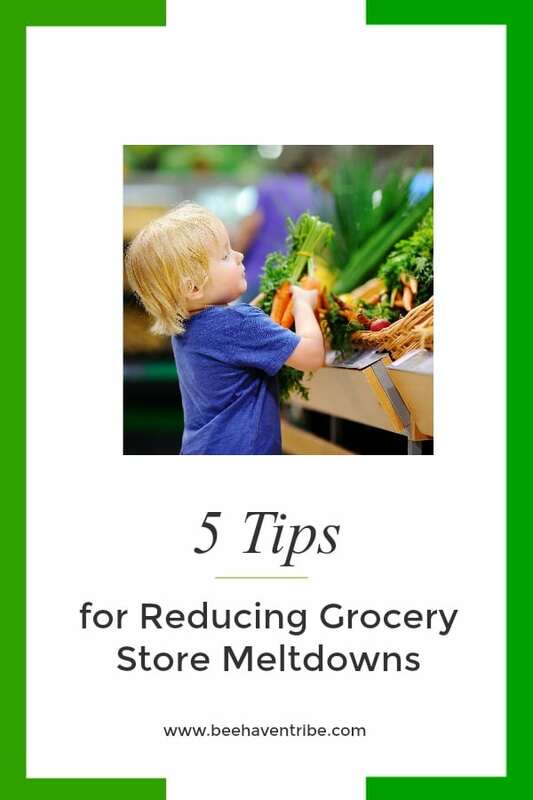 A great way to reduce tantrums in the grocery store… Reinforce appropriate behaviors! However, it is important to provide the reinforcement AFTER your child engages in the desirable behavior :). A fantastic way to start your grocery shopping experience off on the right foot is using what I like to call premack principle, or ‘first/then’ approach. You can say, “First I want you to sit in the cart, then you can have a bite of Pirate Booty!” You are establishing the expectation for your child but they also understand that they will receive reinforcement for it. Disclaimer- It is important to note that if they do not sit appropriate in the cart, they should NOT receive the reinforcement! You will eventually fade out the need for dense reinforcement. However, when you have a kid that HATES grocery shopping, it is helpful to reinforce those appropriate behaviors and pair grocery shopping with something positive. Also, if a little pirate booty is going to help you get through a chore that NEEDS to get done… Mama is going to call that a win :). This tip can sometimes be the hardest. I occasionally get in the bad habit of going to the grocery store EVERY. SINGLE. DAY when I am out of the routine of meal planning! Well, if your cutie does not enjoy the grocery store and you find yourself there on the daily, this is probably not helping your case! Another suggestion- Meal plan! If you can plan out your meals for the entire week, this will reduce your frequent trips to the grocery. PERFECT! I typically like to sit down on Sunday and plan out my meals for the entire week. I write out all of my recipes, make my list and then go big at the store. Here is an article published by Real Simple that lists top meal plan apps to make this task a little more simple :). 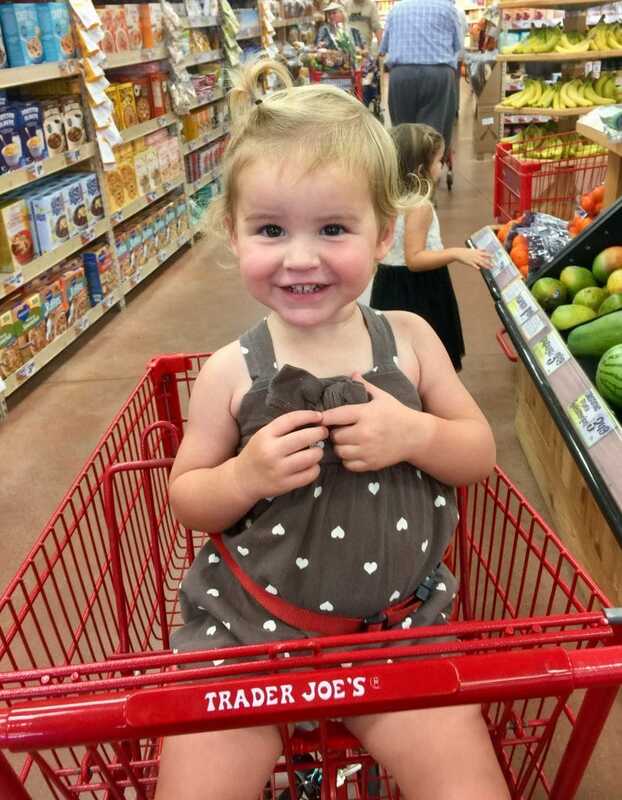 I am happy to report I implemented these tips and I am successfully conquering the grocery store with a happy toddler! I put her in the cart and when she sat down appropriately, I reinforced her a small bite of Pirate Booty… When she continued responding appropriately and not like the ridiculousness that took place in the previous shopping trip, I continued to occasionally provide her the white cheddar goodness while also pairing it with verbal praise until we were done with our shopping excursion! Haha, yes pirate booty for the win!